Nothing like a good bubble bath with friends. and i thought i'd seen them all. of course i'm getting old. Ahhhhh a steaming cup of tea is always so relaxing! I absolutely love this! 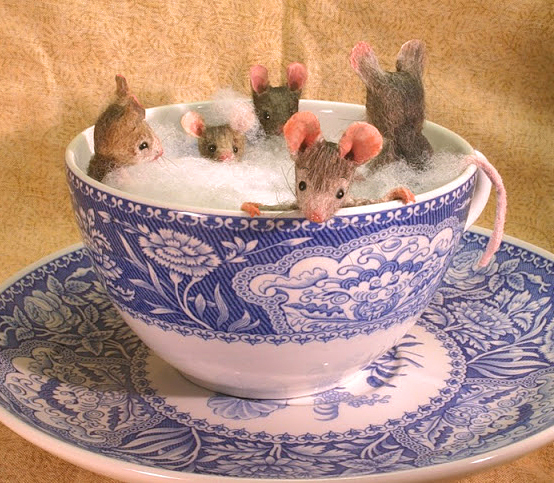 Those mice are adorable! Click on the picture to go to Mouseland! Download these free coloring pages from The House That Mouse Built!